Why Choose Chain Link for My Security Fence? When you need to add an extra element of security to the area around your business, your mind probably goes to adding a security fence. But what type of material works the best for keeping intruders out while still being cost-effective? How tall do I build it? Will it actually work? 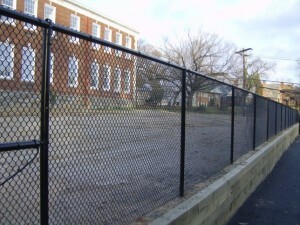 Luckily, Hercules Fence Company of Richmond, VA has built many a security fence for prestigious companies like NASA, the FBI, and the Department of Homeland Security, and can certainly help you with all your security fence needs. Read on to discover what type of security fence will work for your business. What type of security fence material works the best for keeping intruders out while still being cost-effective? The answer is chain link. When it comes down to it, chain link is simply the best choice regarding the protection of most businesses. It’s affordable and it works, too! We offer the option to add fiber optic motion sensors and security cameras and can also install a double row fence system with razor ribbon and concertina wire. Need to add a gate to your chain link fence? No problem – we are experienced with all types of gates and can install them regardless of size or customization needs. A six-foot tall or higher fence is recommended, with a thickness of at least nine-gauge for a security fence. 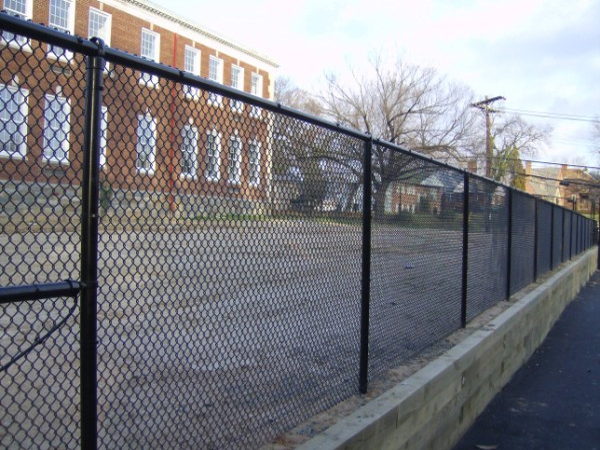 Ornamental fencing is another great option when it comes to building a security fence. Not only is it strong, we can offer you anti-climb curved fencing or a decorative iron fence with cable reinforcement as well. Our high security ornamental fencing has a higher aesthetic appeal than chain link and is finished with a beautiful and low-maintenance powder coating providing you with the best of both worlds: beauty and safety. Regardless of what type of fencing you go with, don’t confuse privacy walls with security walls: you want to be able to see through your high security fence. This entry was posted on Tuesday, July 7th, 2015 at 7:03 pm. Both comments and pings are currently closed.